Seven million dollars is a lot of money. It is also exactly how much Kimye spent on their wedding this weekend — about 5% of their net worth. 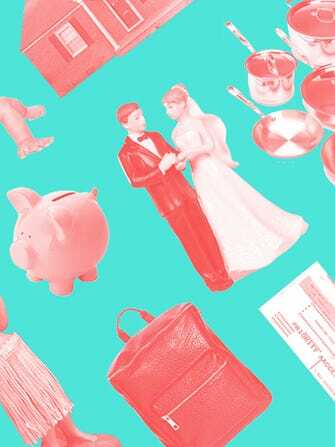 While it's easy to scoff at such lavish spending, Esquire writer Stephen Marche notes it's not so wild a number when you think about the debt the average American goes into for his or her big day. Plus, unlike the Kardashian-Wests, we can't all turn a profit by selling coverage of our wedding to news outlets. Marche points out that — especially with that kind of money and the countless hours and energy put into wedding planning — two kids in love could do something more productive than digging a hole of debt in the name of publicly declaring their affection. But, that's the slightly cynical point of view, because everyone knows that weddings aren't really about the people getting married. Weddings are essentially a series of challenges, in which guests put forward their best skills in dancing, cake eating, and combining their friends' names into one, unifying, marriage hashtag.